Vet clinics are just like any other facility that requires electricity to provide the care for our furry friends. It’s good to know that there are some clinics that take care of our pets and are also doing their share to take care of the environment. One way for clinics to go green is to turn to cleaner sources of electricity. There’s a very good chance that the power that we get from the grid comes from coal-fired power plants. According to the World Coal Association, the world gets 41 percent of its electricity from coal-power plants. Turning to solar power helps cuts emissions from power generation. The price of solar panels keeps going down year after year so the economic case for turning to solar is also growing. If clinics turn to solar and take steps to conserve electricity, then they can only increase their appeal to eco-conscious pet owners. Let’s take a look at some vets that have installed solar panels at their facilities. Medfield Veterinary Clinic in Massachusetts has solar panels installed on their roof that helps cut carbon emissions and also help save the clinic thousands of dollars from their electric bills. According to Medfield Patch, Dr. Richard Crowell purchased the panels in 2011 but these were only installed in October 2012 because of the high demand for these panels. The clinic will spend about $1,000 a year to maintain the panels but Dr. Crowell said the panels will net him $8,000 to $9,000 in savings. The solar systems installed at the clinic are still connected to the grid which means that the electricity generated by the panels is sent to the local utility. Salem Veterinary Clinic in Salem, South Dakota got a grant from the U.S. Department of Agriculture’s Rural Development program to install an in floor hot water heating system for their remodeled clinic. The heating system is powered by solar panels on the roof. The clinic got $15,680 Rural Energy for America grant which helped them with the cost of installing the solar heating system. The system will supply around 57 percent of the energy needed by the business in a year. Limestone Veterinary Hospital in Hockessin, Delaware has 128 solar panels installed on their roof. The hospital made the decision to install the 40 kilowatt system in 2008 and they say the panels lowers their electrical expenses and cuts greenhouse gas emissions. 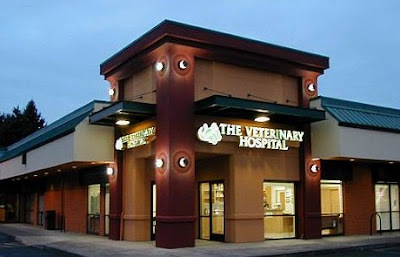 Aside from veterinary care, the hospital also provides a doggy day care as well as physical therapy and chiropractor. Solar power is advancing really well and there’s a lot of research going on in the field that is helping to make solar panels more efficient and affordable. Many solar power plants are also being built which helps decrease the share of coal fired power plants in the energy mix. One such farm is a 10 MW facility that is being planned to be built on a former sugar cane plantation in Valdora, Australia as reported by solar power today. Cats Love Making Pictures- So Romantic !! !